On the other hand, Putin wants to be seen both at home and abroad as more than a military actor and is seeking to burnish his diplomatic credentials. Having demonstrated his military strength in Syria, playing the role of peace-maker in Libya could be attractive for Putin, particularly with presidential elections on the horizon in March 2018. Moreover, a Russian-led diplomatic success would allow Putin to position himself as mending what the West has broken. What has Russia done so far? The “war” option was the first to be explored in Moscow. In the spring of 2016, Russia gave key financial support to Haftar-controlled eastern Libya by printing Libyan dinars in the Cremlin’s mint. Relations surged in June of that year, with several visits to Russia by either Haftar or his special envoy Abdel Basit al Badri, the Libyan ambassador to Saudi Arabia. In January of this year, the Libyan general was invited on board the aircraft carrier Kuznestov, where he had a videoconference with Russian Defence Minister Shoygu. Haftar had three key requests to Russia: political support to bolster his image as the legitimate leader of Libya; help lifting the UN arms embargo; and deliveries of weapons. The meetings made Haftar believe that he would get the same kind of support that President Assad received in Syria, but so far Russia has been more tentative in Libya. On the issue of weapons, the Kremlin has publicly toed the UN line by refusing to supply arms until the embargo is lifted, and it has not been willing to pick a fight at the UN to negotiate that outcome. Nonetheless, French security expert Arnaud Delalande has reported the delivery of some Russian weapons to Libya, and, more commonly, Russian weapons sold legally to Egypt ending up in Haftar’s hands. This arrangement is convenient for Russia not only because it allows it to stay within the bounds of the UN arms embargo, but also because Egypt – thanks to Saudi money – is a much more reliable customer than Haftar. There have also been reports of Russian special forces operating in Libya or on the border between Egypt and Libya. However, so far these forces have reportedly not been involved in combat operations, but have rather been deployed to protect Russian technicians who help with the maintenance of the weapon systems of Haftar’s Libyan National Army. At the same time Moscow has been pursuing the ‘peace’ option by developing a web of relations that include Haftar’s rivals, and by approving all relevant UN resolutions on Libya and expressing its commitment to the Libyan Political Agreement. While this does not mean support for the Western-backed government, Prime Minister Faiez Serraj has been received in Moscow, albeit by lower level officials than Haftar. So, too, has a delegation from the city of Misrata, which included radical anti-Haftar elements, while Russia has also engaged with the National Salvation Government, the third faction fighting for control of Libya. Putin is unlikely to let Russia be dragged in a new conflict or to upset Egypt by dealing directly with Haftar on weapons. What could change is the quality of Russian support for Haftar, with a higher level of technical assistance or more sophisticated weapons. 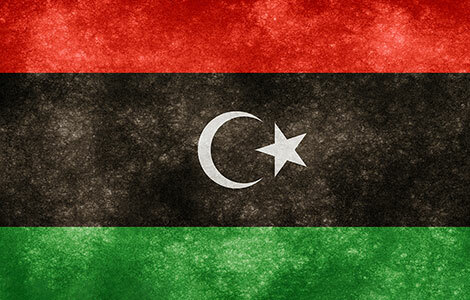 This would greatly encourage Haftar to pursue war, however unrealistic a quick military victory by Haftar is. Another possibility is that Russia may begin to partner more closely with Haftar on counter-terrorism issues, which could be used to build bridges with Trump, who has made defeating terrorism a centrepiece of his administration. This is an option being pushed by Russian Defence Minister Shoygu but he needs a green light from the Kremlin which has not yet arrived. More likely, Putin will continue with his current ambiguous policy: minimal but important military support to Haftar through arms deliveries via Egypt (thus keeping both Sisi and Haftar happy); showing Russia’s diplomatic clout by occasionally inviting some Libyan leader to Moscow; while continuing to use Libya as a cautionary tale against the evils of regime change. If European actors like Italy, France and the UK want to avoid escalation, Russian diplomatic ambitions provide some leverage. Russian decision makers expect to be involved in international discussions on Libya just as they are in the Syria negotiations and in other regional formats such as the Middle East Peace Process Quartet. And while the UN and Salamé have little choice but to engage Russia, meaningful talks between EU member states and Moscow on Libya should not be granted for free. Russia’s inclusion in a new contact group should be made conditional on Russian support for de-escalation in Libya: reduce support for Haftar, or be left out in the cold. If Moscow is willing to play ball on this account, Europeans should remain watchful of its conduct within the new group and its impact on the behaviour of regional members UAE and Egypt. Against the backdrop of the Qatar crisis, Abu Dhabi sees Libya as the next potential battle against political Islam. Indeed, it could be prepared to support Haftar all the way to Tripoli, which would imply a years-long civil war on Europe’s doorstep. Egypt is likely to take a more limited approach focused on securing its Western border, and Europe should watch carefully which of these visions is bolstered by Russia’s influence, and consider discontinuing the format if Moscow’s presence fosters escalation. Ultimately, Putin’s ambiguity on Libya so far is good reason to be suspicious of his true intentions. And Europe must use its diplomatic leverage to ensure that increased Russian involvement does not come at the cost of further destabilisation on Europe’s southern border. Mattia Toaldo is a Senior Policy Fellow for the European Council on Foreign Relation’s Middle East & North Africa program.